We all need a reminder about how awesome we are sometimes. Loving ourselves is our best gift we can give the world by showing everyone how to do it. After nine and a half years in a relationship, I realized that my boyfriend was never going to be the romantic, love-note kind of guy, and I needed to stop waiting for him to read my mind. I also started reading a lot of personal growth books on “giving yourself what you're missing” and wanted to test this out in my own life. I was missing the intimacy and connection of little love notes in my life and so I decided to write everything I've ever wanted to hear on little cards and put them in a fancy wooden box with the words “Open in case of Forgetting” on the lid. These notes reminded me to change my thoughts about myself, take better care of myself, and to love myself more and more each day. And that is where this book comes in! This practice worked for me and I want to share with you all the notes of self-love, praise, and unconditional encouragement that assisted me in the moments I forgot that I was the source of my own love and empowerment. It feels great to be loved, and we can give ourselves that love through little reminders and the actions we take every day to show it. If there is one major thing I've learned on my journey of self-love, it's that you already are what you think is missing in your life. If you feel like you need love, love yourself first. If you feel like you need peace and understanding, give yourself the compassion you deserve. If you've been craving intimacy and connection then you can even give that to yourself. You are more powerful than you think you are and you can give yourself the love you know you deserve. I gave myself what I thought was missing with these little love-notes-to-self that changed my life, and I want to share these notes with you. 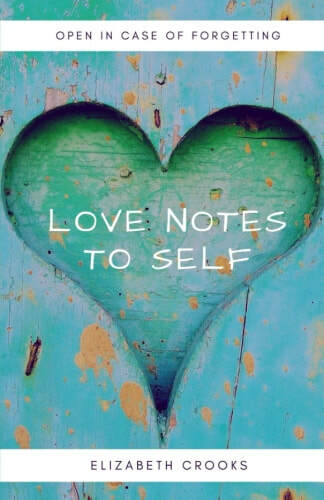 Connect with your inner joy and unconditional self-love with these notes. You never know what you're going to get!